Designed for high performance, the DSL-3890 combines next generation AC2300 Wi-Fi with Gigabit Ethernet and a Dual-Core processor for an enhanced HD streaming and gaming experience. 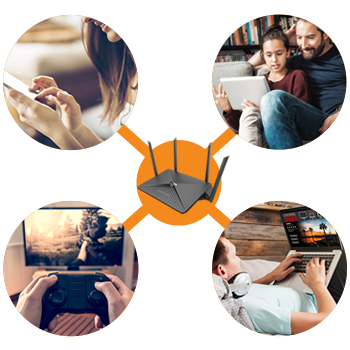 Advanced beamforming technology tracks your connected devices for superior Wi-Fi speed and range, and SmartConnect intelligently distributes devices on both bands for optimal Wi-Fi performance. Gigabit ports give you lightning fast wired connections and USB 3.0 port lets you access content on your network. High-bandwidth Wi-Fi signals to multiple devices simultaneously. Connect a USB drive to create shared storage. Connectivity for wired devices such as media centres, network storage and game consoles. Ready for all NBN (Australia) and UFB (New Zealand) Connections. With powerful dual-core processor, simultaneous 4 data streams and intelligent QoS technology, enjoy the ultra Wi-Fi speed for uninterrupted gaming and unbeatable experiences. 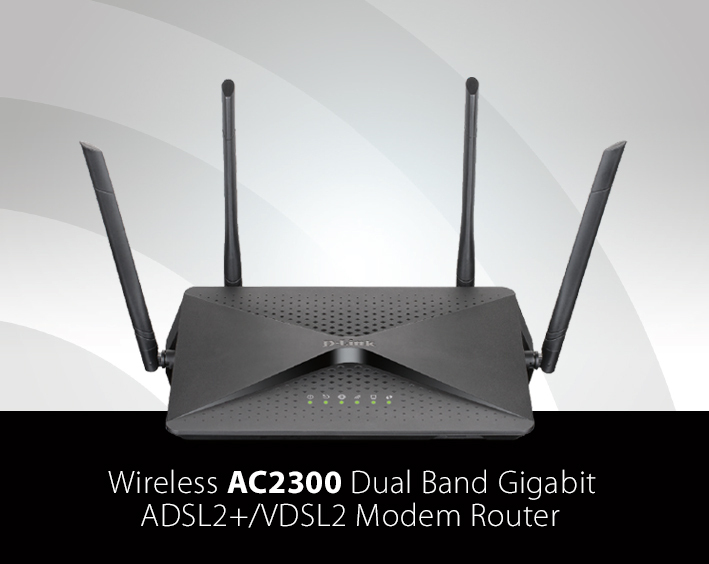 The DSL-3890 AC2300 MU-MIMO Wi-Fi Modem Router is designed to support MU-MIMO technology that allows multiple devices to get high-bandwidth Wi-Fi signals at the same time, distributing data more efficiently, giving you the fastest Wi-Fi speeds in your home. You can stream HD media faster, transfer large files in seconds and play lag-free gaming. 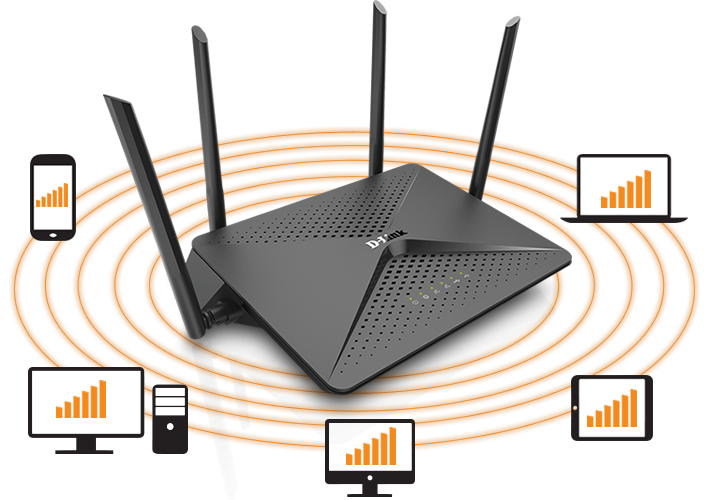 Four high-performance external antennas and high-power amplifiers will guarantee you stronger Wi-Fi coverage throughout your home. More devices that will connect faster to your network and with no more dead zones. 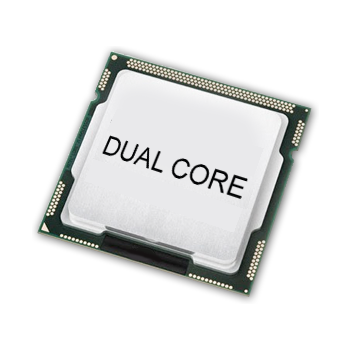 Automatically assigns devices to the less crowded 5GHz network to increase bandwidth efficiency and availability. Traffic Prioritisation – Advanced QoS engine guarantees the best performance for high priority programs, games and video streaming. Band Steering –Automatically assigns devices to the less crowded 5GHz network to increase bandwidth efficiency and availability. DLNA Compatible – Play and share your media on any DLNA devices, such as TVs, gaming consoles, smartphones and more. USB 3.0 Port – One USB 3.0 port with speeds up to 10x faster than 2.0. Guest Wi-Fi Network – Enable a public or encrypted wireless guest network to secure and control access to local network devices.